Which industries are paying out most to employees? You are at:Home»Wages & Salaries»Which industries are paying out most to employees? Health of employee compensation by industry is illuminated by the recently released U.S. Bureau of Economic Analysis GDP by Industry data. This shines a light on wages, salaries and benefits paid by employers as opposed to job counts that don’t include hours worked and paycheck wages. 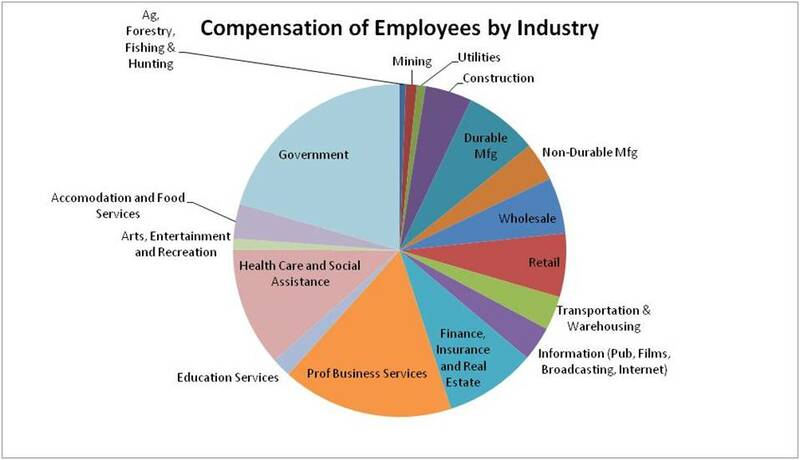 For starters, below is the share of total compensation paid by each industry in 2013. Government is the largest employer. It is nearly 20% of the total and nearly 25% of private industry compensation pie. Data Source: U.S. Bureau of Economic Analysis, GDP by Industry, KLEMS Tables, please see release link above. 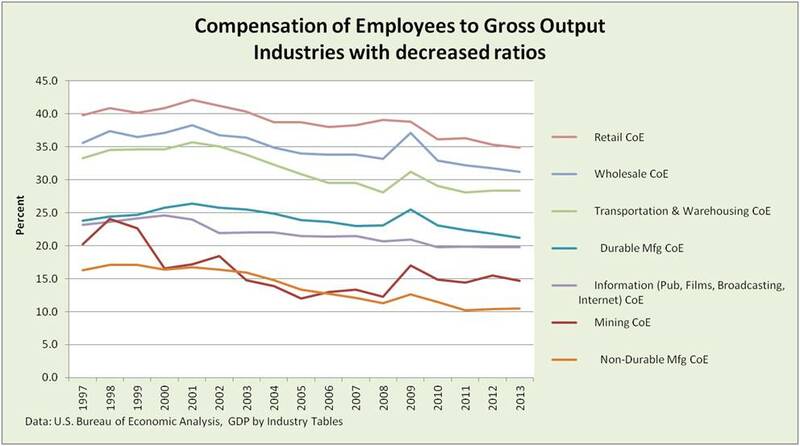 Turning to compensation as a percent of “Gross Output” (roughly, production; not final sales as often used at feddashboard.com, difference is inventory), industries fall into two groups. This picture illustrates those industries that in 2013 are greater than 95% of the 1997 ratio (1997 is the earliest available data). Among points of interest, Utilities, Construction, and Accommodation and Food Services have increased most. 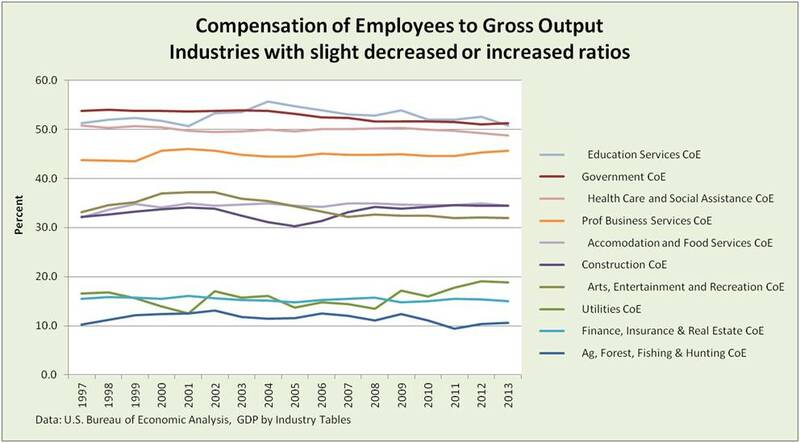 The picture below illustrates those industries that in 2013 were 64-90% of the 1997 ratio. Among points of interest, notice that while job counts in retail have been good, the share of compensation is down. Mining and Non-Durable Manufacturing have decreased most. Whether a move was related to numerator or denominator of the ratio. For example, here, 2009 spikes often mean industries didn’t terminate employees as fast as production fell.